These days, it’s not just executives that are checking their email every few minutes. Everyone with an iPhone or Android device is doing the same. It seems as though people spend more time using their mobile devices for everything but talking on the phone. As smartphones become more common, it is hard to imagine not having your email with you wherever you go. Mobile email marketing is a great approach companies can take to engage new customers. The email intelligence company, Return Path, reports that 18% of emails that hit people’s inboxes come from marketers. About 35% of email is opened on mobile devices, and is expected to rise to 50% in as little as 12 months. With statistics like that it is a no brainer to think the time is right to take advantage of mobile email marketing. Companies now have the capability to reach out to a potential customer right on their smartphone. In order to maximize the customer conversion potential, companies need to think about the total mobile experience when designing a mobile email marketing campaign. Any links out from an email to a company Web site need to point to a mobile version of the page. The customer cannot be taken out of the mobile world. 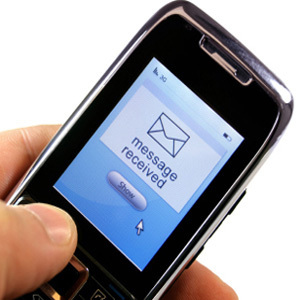 Most smartphones will automatically dial a number from an email if a user presses and holds the number. A small detail like making sure that number is in plain text, rather than an image, is easily overlooked. The same goes for a physical address. Most smartphones will open the address in a map when pressed. Making sure the address appears near the top of the email, and then again at the bottom is very important. So how would a company know when the time is right to think about something like mobile email marketing? Typically, if 10% of traffic to the different types of business to business marketing sites is received through the mobile version of the page, they are a natural fit for mobile marketing. At MARION, one of the marketing companies Houston loves, we can ensure your mobile web design gives your customers the best possible user experience. We can also develop a solid email marketing strategy to help spread your message.